In India – “Kitna Deti hai?” is the most frequently asked question by automobile buyers, but “how safe is it?” is a question that buyers rarely ask. Car manufacturers also rip the safety features off their models when they bring them to India. The reason they state is simple. “Indian cars run at relatively lower speeds compared to the ones abroad and hence safety features are not necessary”. The irony is, India is the country with the largest number of fatalities from road accidents. A statement from the CEO of a leading car manufacturer stated that “safety features will make the car more expensive and people in India cannot afford them”. So these manufacturers offer these safety features at a premium on certain models. So when you are in the market for buying a car and when you have the extra buck to shell out on accessories, go in for a safety feature rather than opting for a Bang and Olufsen audio system. Here is the list of essential safety features that every car should have and these are very effective in saving lives in case of an accident. 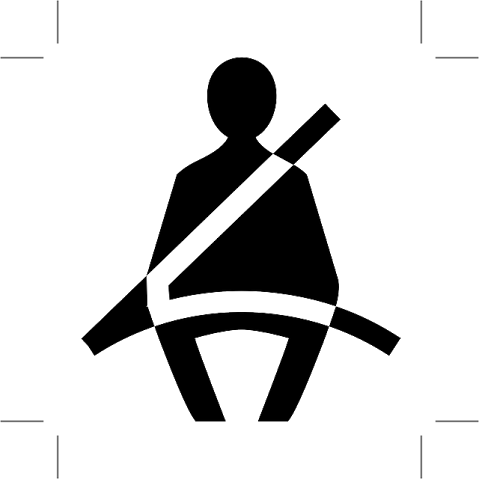 3 Point Seat Belts: 3 point seat belts are designed to ensure that passengers are in place without being thrown around in the event of a collision. This prevents any upper body movement of the occupants of the vehicle and hence prevents any injury that might arise due to collision with hard parts of the car like the dashboard, steering column and windshield etc. This is a very essential safety feature and almost all the cars in the country have it. The only thing that is needed is, passengers should wear them while travelling. 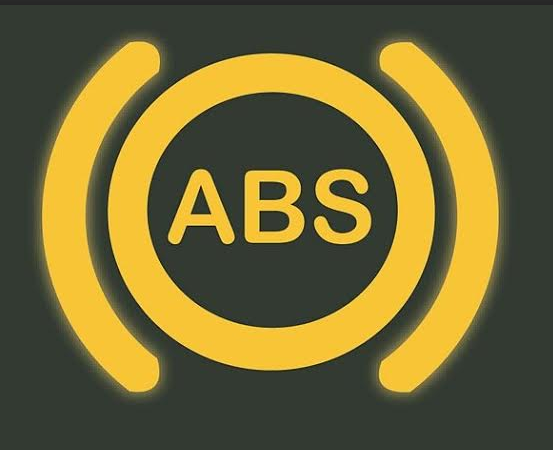 ABS: Anti-lock braking system, is a safety feature that comes with a premium. Car manufacturers offer this feature as an option in their top end variants. Certain car manufacturers like Volkswagen, have made it mandatory on all their models sold in India. So how does it help? In the event of a hard braking, the brake force applied is too heavy and it locks up the wheels and pushes the vehicle into a skid. When the vehicle starts to skid, the driver loses the directional control and cannot steer the vehicle in the desired direction. This system, if equipped, modulates brake force, ensures optimum braking power to the wheels and prevents the wheels from getting locked. So the driver can possibly steer the vehicle away from a danger even in the event of hard braking. Airbags: Airbags are bags that inflate in the event of a collision, and prevent the occupants of the vehicle from getting injured. 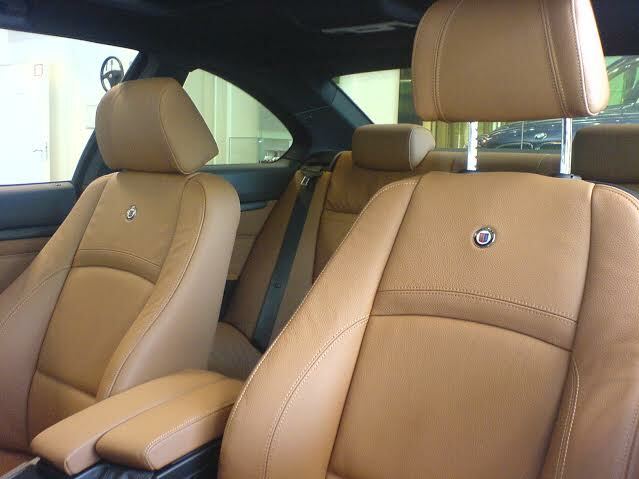 This feature is offered only on certain top of the line trims of certain models and at a premium on lower trims. 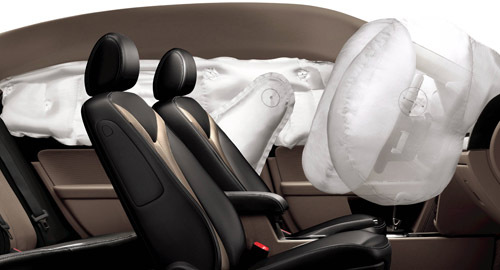 Airbags can be found on different locations in a car. The steering wheel, the dashboard and on side curtain area etc. Among these, the airbags in the front are absolute necessities as the occupants in the front tend to get fatal injuries in the event of a high speed head on collision. These work with the help of sensors. The sensors detect a collision and inflates the airbag until it comes in contact with a surface and then slowly deflates them. All these happen in a matter of fractions of a second. They are highly capable of saving human lives and is a necessity on all cars. Head Restraints: People just see them as head rests and a feature that offer comfort. These head restraints actually prevent whiplash in the event of an impact from the rear of the vehicle. Severe neck and shoulder injuries can be avoided in the event of a rear end collision. The occupants should ensure to adjust these at the right height. Too high or too low can also prove dangerous. The level of your ears are the right height to set the head restraints. Adjustable head restraints are offered in almost all the cars except for a few that are in a very tight budget market. Electronic Stability Control: This feature is sold with different marketing names by different manufacturers and is an inclusion only in the luxury segment. This features helps a driver maintain control of his vehicle in the event of extreme steering maneuver. This is also operated by sensors and detects over steer or understeer and applies brakes to independent wheels that tend to lose traction. This feature is generally found only on premium cars but, it would be good to have them on less expensive models also. We, at droom, are committed to everything automobiles. We believe that it is time that our roads became safer, traffic sense improved, and our commutes became happier and safer. We’ve prepared a handy little road emergency pocket guide that you can carry with you at all times. You Need to Get This App!